This box contains a Raspberry Pi running the fabulous OctoPrint / OctoPi, a 5 V power supply and an SSR. It allows you to remotely turn on and off your attached 3D printer, either by using the web interface, by sending G-Code or with a custom system command, which is needed to use the feature through the Telegram plugin. 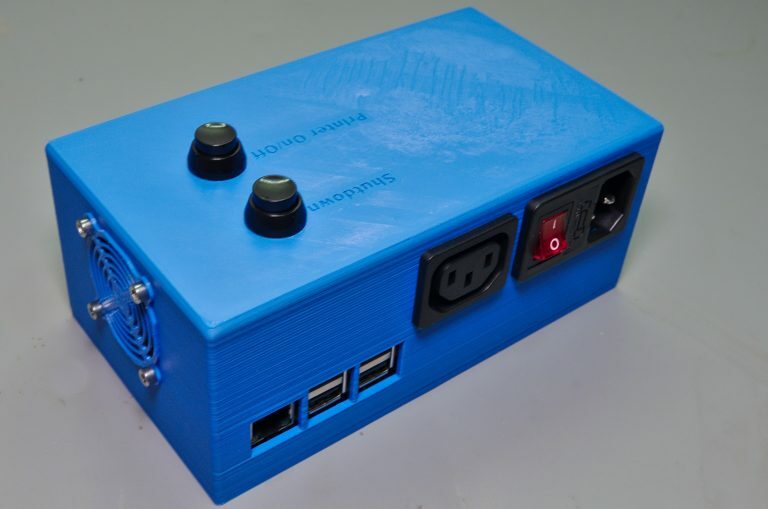 Two hardware buttons are also available to power on/off the printer or send a shutdown command to properly power off the Pi.